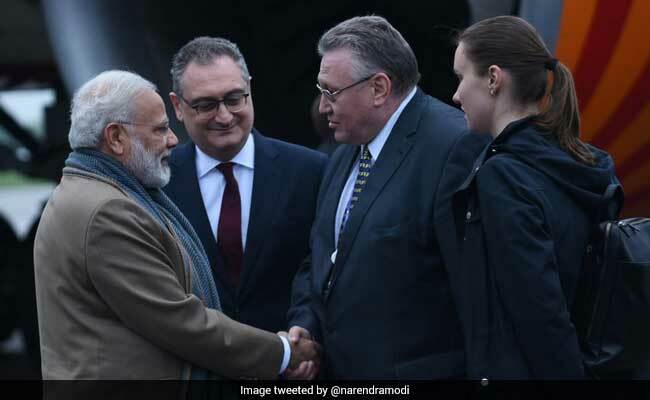 New Delhi: Prime Minister Narendra Modi has landed in Russia's St Petersburg- a visit that's expected to be crucial for India's largest nuclear power plant, Kudankulam. The last two units of the plant are expected to be built in collaboration with a Russian company. If successful, the deal will be the centrepiece of the meet in which 12 other agreements are likely to be inked. The meeting between PM Modi and President Vladimir Putin is expected to help boost trade and resolve tensions over shifting alliances. A traditional ally of India, Russia has lately developed its ties with China and Pakistan. The two reactors in Tamil Nadu's Kudankulam plant are being built by India's Nuclear Power Corporation of India Ltd and Russian firm Atomstroyexport, a subsidiary of Rosatom, the regulatory body of the Russian nuclear complex. The units will have a capacity to produce 1000 MW of electricity each. Under an agreement with PM Modi and Mr Putin in 2015, a deal to build units 5 and 6 of Kudankulam was to be signed by 2016. But the line of credit to be extended by Russia proved a hurdle. News agency Press Trust of India quoted sources as saying that last-minute talks are on to iron out details and language of the agreement. "Reached the historic city of St. Petersburg. Looking forward to a fruitful visit aimed at cementing India-Russia relations," PM Modi tweeted after landing. PM Modi's visit will officially begin on Thursday with a visit to the Piskariovskoe cemetery, a memorial for 500,000 Russians killed in Leningrad during World War II. Later, he would be received by President Putin at the sprawling Konstantin Palace, his official residence. After the summit, Mr Putin will host PM Modi at a private dinner. The 12 agreements that are expected to be inked between the two nations covers various sectors -- from trade science and technology, railways, cultural exchanges and other business areas. Trade with Russia stands at $7.8 billion -- down from $10 billion in 2014. The two nations are hoping to raise it to $ 30 billion over the next five years. PM Modi's went to Russia from Spain, where he sought investment, signed deals on cooperation in the field of cybersecurity and held bilateral talks with Spanish Prime Minister Mariano Rajoy. "India is an enormous country and it offers many opportunities to Spanish firms in all sectors," PM Modi told Spain's industry leaders. India, he told Spanish business daily Expansion, plans to build six large ports, 250 new airports, 27,000 kilometres of highway, and modernise 400 train stations by 2025, he said. On Friday, PM Modi will be the guest of honor at the annual St. Petersburg International Economic Forum - a business and political summit. This is the first time an Indian prime minister is attending summit. Around 60 Indian business leaders are attending the summit, where India has set up a "Make in India" pavilion. India will also host roundtables and an exclusive India-Eurasia economic and business breakfast.